George Washington could not tell a lie...he loved a cherry almond scone served with hot tea! You will too!! 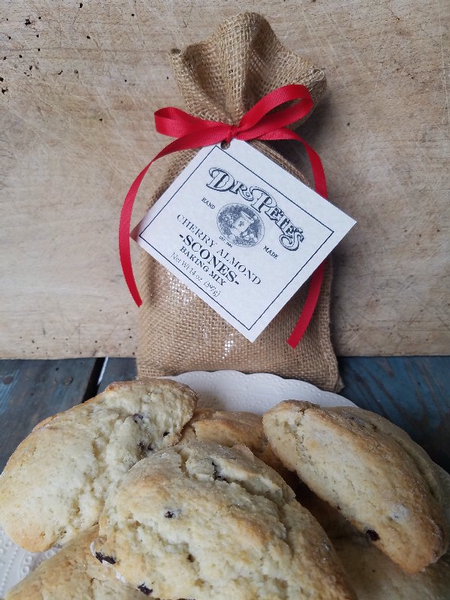 This scone is filled with tart red cherries and the hint of almond is the perfect mate in this flavorful scone! As with all our scone mixes you just add a cup of heavy cream, pat dough to about an inch thick and cut in wedges. About 16 minutes later, you will be pulling these moist scones out and they will be ready to enjoy! No Lie!!! Hand Crafted in small batches in Ailey, GA.